Submitted by Tricia McCormack Photography. Originally published on July 8th, 2015. 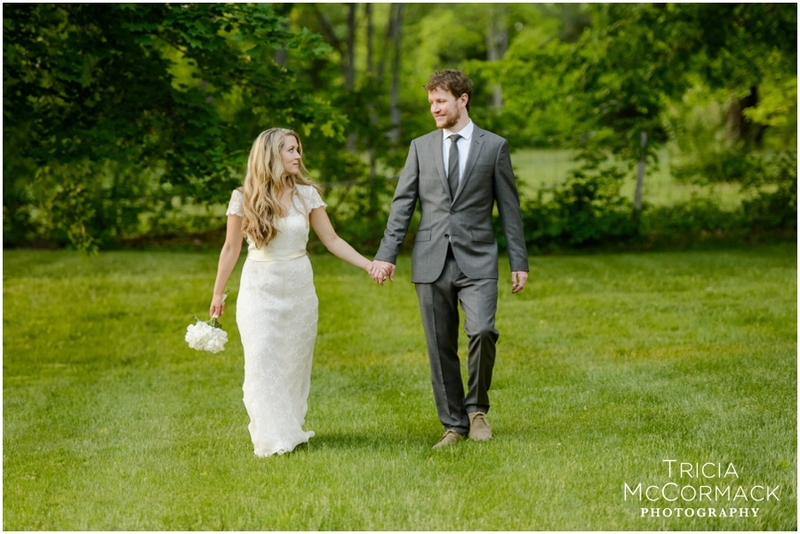 A word from the photographer: On May 30, Erin and Sean were married with a ceremony outside the New Marlborough Meeting House followed by an intimate reception at the Old Inn on the Green. I have been looking forward to this wedding since their snowy engagement session. I loved that this wedding had a sweet and confident style. Every aspect of their wedding was stylish, charming and elegant. Erin looked so gorgeous in her vintage dress and shoes and that gorgeous hair! 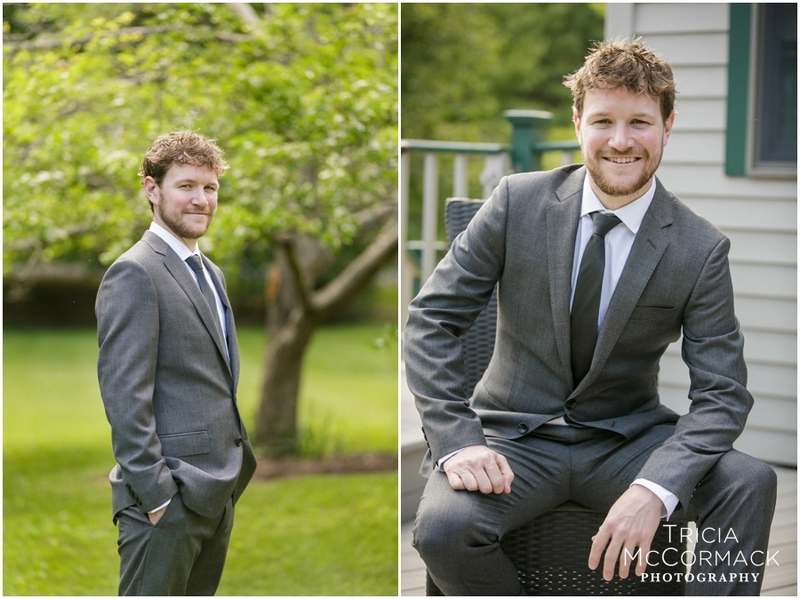 Sean looked equally distinguished in his JCrew suit. Their wedding was a small family gathering, with sweet, candid moments between loved ones. The intimacy of the small group allowed us to capture genuine and quality time between Erin and Sean and all of their guests. I think this type of wedding is so special, and the honor of being in attendance among the dearest people in their life is not lost on me. 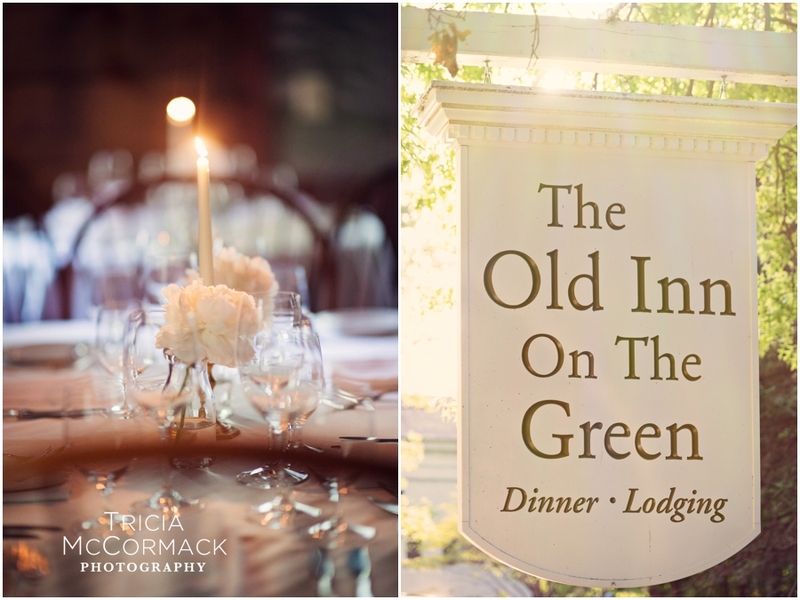 The Old Inn on the Green always impresses with it's historic charm and beauty. 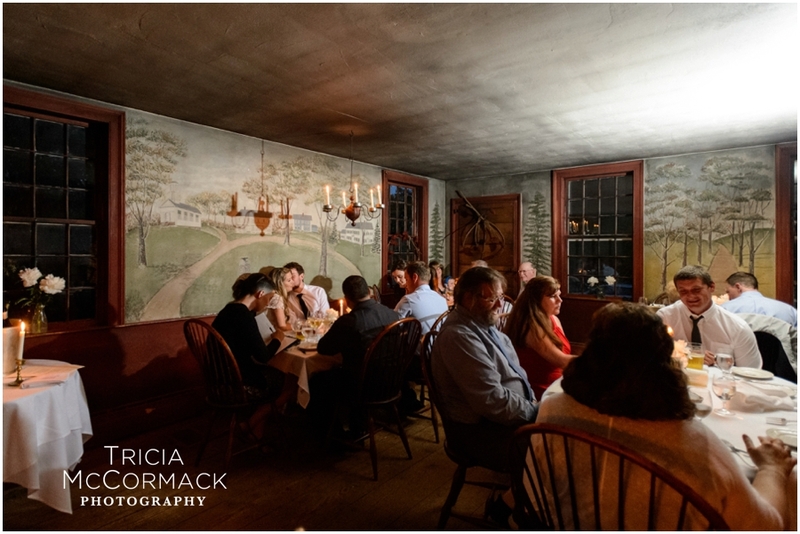 Erin & Sean's guests had dinner by romantic candlelight and toasted to the beginning of their amazing life together. 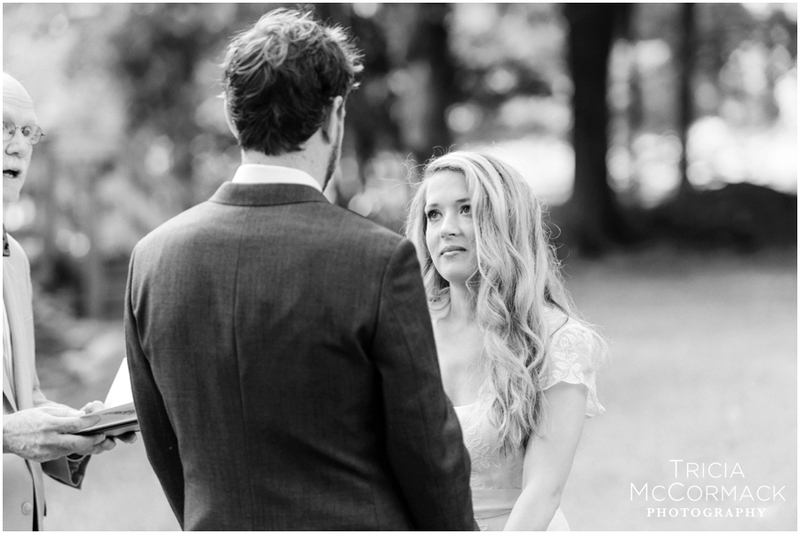 Congratulations to Erin & Sean, I love the gentle and sweet way you look at one another. Cheers to many happy years ahead!